Plates for electric vehicles saw only 1,195 people apply for them during a lottery ending yesterday. The Shenzhen Vehicle Quota Administration Center offered 11,181 electric car quotas, including 1,447 for corporate applicants, in the seventh round of the plate lottery yesterday. The number of corporate applicants for electric vehicle quotas was only 72. In contrast, the chance for getting a quota for a fuel-powered vehicle became slimmer as 257,421 applicants tried their luck to snap up one of the 2,933 plate quotas for individuals, or 1.13 quotas for every 100 applicants. 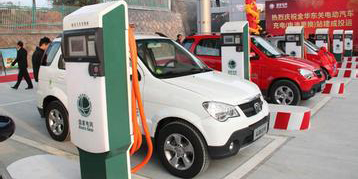 In a move to stimulate the use of electric vehicles, the Shenzhen transportation commission recently began allowing residents who have owned a car or a car plate to apply for an additional electric car in this round of car lottery. In previous lotteries, a large majority of quotas for electric vehicles weren’t taken. Those who want to renew electric vehicles that they bought before the city implemented the car purchase limit at the end of December last year can apply for renewal for one car and for registration of additional cars, according to the notice. Though the government has an ambitious plan to promote electric cars, residents are still reluctant to use electric cars because of a shortage of charging stands and charging stations.